Pudding is an amazing thing. Pudding minus the dairy, even better. I knew I was going to love this pudding as soon as I saw it, how can chocolate and almond milk be bad? 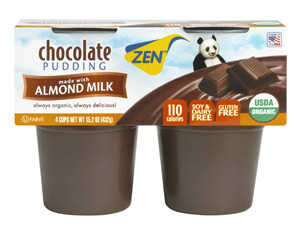 Dairy free, soy free and gluten free, Zen Chocolate Almond Pudding is also vegan, all natural, organic and Kosher. With only 110 calories per cup, it will also not break your waistline or diet plan. I LOVE THIS STUFF. It is PERFECT. And when you support companies like Zen you are usually supporting other noble causes. In this case it is Panda Bears. Zen uses a Panda in their logo so it is only fitting that they support wildlife organizations that are involved with Giant Pandas. 5% of Zen’s profits are donated to this cause. This is an important because Pandas are in danger of starvation. They eat so much, we build too much and destroy their habitats in the process. This combination is causing a huge problem. http://zensoy.com/products/zen-almond-pudding/ Zen Almond Milk Pudding Homepage. 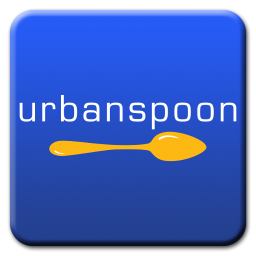 Categories Vegetarian and Vegan Grub and Transition Foods.